February is all about focusing on protecting our children’s smiles, which is why we celebrate National Children’s Dental Health Month. The rates of early childhood dental decay are always increasing, signaling to parents everywhere how important it is to take better care of your little one’s teeth. Many children worldwide struggle with undiagnosed dental decay, living with teeth that are painful, unsightly, and dangerous to their overall health. 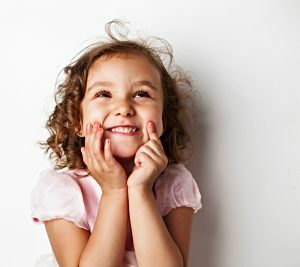 Fortunately, there is a lot that parents can do to ward off early childhood dental decay. Here are a few ways you can help your child’s teeth to stay healthy. Give Your Child Enough FluorideFluoride, a naturally occurring element, helps to strengthen dental enamel on a microscopic level so that dental decay is less likely to occur. To help your child’s teeth stay healthy and strong, check to see if your local water supply is fluoridated, and then offer your child tap water. If your local water isn’t fluoridated, talk with your child’s dentist about offering fluoride drops. Focus on Daily RoutinesThe longer plaque sits on your children’s teeth, the more likely it is to turn into tartar, which can lead to gingivitis and periodontal disease. To prevent these problems, focus on your child’s daily dental hygiene routine by helping them to brush and floss carefully. Don’t Miss Regular Dental CheckupsFinding dental problems early is crucial to protecting your child’s smile, which is why you should never miss dental checkups. Schedule regular dental checkups every six months and focus on attending these essential appointments. By seeking preventive dental care, you can proactively treat early dental cavities, saving time and money. Consider Dental SealantsDental sealants, which are clear plastic shields that are painted onto the teeth, help to protect the teeth from bacterial acids and cavities. Effective for as long as ten years, dental sealants can help your child’s teeth to stay healthy and strong. To keep your child’s teeth clean and healthy, the American Academy of Pediatric Dentistry recommends bringing your child in for a well check by the time they are one or whenever their first tooth breaks through, whichever occurs first. If you know that your children are due for a dental visit, schedule an appointment with your favorite pediatric dentistry office in Columbus, Ohio. At Hines Little Smiles, we are completely dedicated to keeping your child comfortable and happy during appointments. Schedule your child’s appointment today!